The Reserve Bank of India (RBI) on Thursday once again reduced the benchmark lending rate by 0.25 percentage points to 6 per cent. 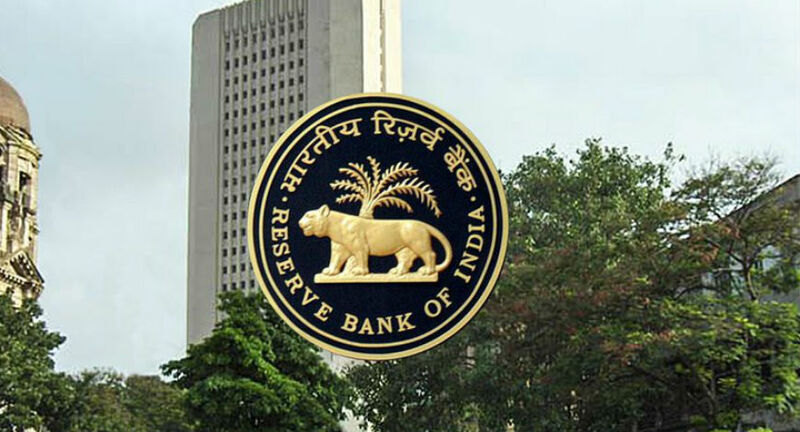 Four members of the monetary policy committee (MPC) voted in favour of the rate cut, while Deputy Governor Viral Acharya and Chetan Ghate voted for maintaining the status quo. The central bank has maintained ‘Neutral’ stance on the monetary policy. The MPC noted that the output gap remained negative and domestic economy was facing headwinds, especially on the global front. “There is need to strengthen domestic growth impulses by spurring private investment which remained sluggish,” the RBI said. While projecting the gross domestic project (GDP) growth for 2019-20 at 7.2 per cent, the RBI revised downward retail inflation estimate to 2.4 per cent in Q4 FY-19. The central bank has maintained ‘Neutral’ stance on the monetary policy. The MPC noted that the output gap remained negative and domestic economy was facing headwinds, especially on the global front. “There is need to strengthen domestic growth impulses by spurring private investment which remained sluggish”. While projecting the gross domestic project (GDP) growth for 2019-20 at 7.2 per cent, the RBI revised downward retail inflation estimate to 2.4 per cent in Q4 FY-19. * RBI revises downward retail inflation estimate to 2.4 per cent in Q4 FY19. * Next monetary policy statement on June 6. RBI, today slashed benchmark lending rate by 0.25 per cent to 6 per cent citing reduction in upside risk to inflation, a move that will lower EMIs for home, auto and personal loans. RBI said it is working in close coordination with the government to resolve large stressed corporate borrowings and re-capitalize public sector banks. A man who had gone to withdraw money at an ATM in Sangam Vihar here allegedly ended up getting four notes of Rs 2,000 with “Children Bank Of India” written on them, police said on Wednesday. Rohit Kumar, a customer care executive, had gone to withdraw cash from the State Bank of India (SBI) ATM in Sangam Vihar on February 6. He got four notes of Rs 2,000 which had “churan” label on them in place of the official watermark. The notes also had “PK” written on them in place of the RBI stamp and the top left corner had “Bharatiya Manoranjan Bank” written instead of Reserve Bank of India. After the victim approached the police, a Sub-Inspector was sent to the ATM to withdraw money and he also received a note that had “Children Bank Of India” written on it. Following this, a case of cheating was registered and investigation has been taken up, said a senior police officer. After scanning the footage from the ATM, police has managed to identify the last man who had filled cash in the machine. “Till now, there have been no other complaints. Probably, only a few notes were changed. We have to identify at which point the real notes were exchanged,” the officer added. 10. Guaranteed by the Children Government instead of Gauranteed by the Central Government. Pakistan-based counterfeiters are pushing fake Rs 2,000 notes through smugglers via the porous India-Bangladesh border, as per a media report. The Indian Express quoted official sources as citing recent seizures and arrests made by the National Investigation Agency (NIA) and Border Security Force (BSF). The latest seizures were made on February 8 in Murshidabad. The Daily further quoted sources as saying that Rahman told investigators that they had been printed in Pakistan. He also told them that the notes were printed allegedly with the help of Inter-Services Intelligence (ISI). Then they had been smuggled across the border from Bangladesh. Smugglers reportedly were required to pay Rs 400-600 in genuine currency for each fake Rs 2,000 note, depending on the quality, the report further quoted sources as citing interrogation records. Moreover, at least 11 of the 17 security features in the new Rs 2,000 notes is said to have been replicated. They include – transparent area, watermark, Ashoka Pillar emblem, the letters ‘Rs 2000’ on the left, the guarantee clause with the RBI governor’s signature and the denomination number in Devanagari on the front – The Indian Express quoted sources as saying. The report further said that sources had said citing experts that the motif of Chandrayaan, the Swachh Bharat logo and the year of printing had been copied on the reverse side. However, the print and paper quality of the seized counterfeits were poor. But they supposedly resembled genuine notes and had the water mark and a crackling sound, similar to genuine currency. First known attempt to smuggle fake currency was made in the last week of December 2016. At that time samples from across the border were sent for approval to smugglers in Malda. And the first seizures of such notes were recorded on January 22 and on February 4. This time Piyarul Sheikh (16) and Digamber Mondol (42) were arrested by the local police and NIA, the report said. Both hailed from Kaliachak in Malda. The government on November 08, 2016 had announced the demonetisation of all Rs 500 and Rs 1,000 banknotes. New Rs 500 and Rs 2000 banknotes were issued in their place. The Union Budget has been extra-careful and conservative about the impact of DeMo on the economy. It is very likely that GDP growth for FY17 will close in on a number above 7%. It is probably the most brilliant economic and political document since the path-breaking 1991 Budget. A detached, unhurried reading of Union Budget 2017 does lead one to conclude that it was not a run of the mill Budget. It was different, both in what it did, and what it did not do. It was a state-of-the-art workmanlike Budget with one flaw—it hesitated to go the full, logical distance in tax reforms. Why? Likely because it is waiting for a near-optimal political and economic moment February next year. In several articles preceding this Budget, and ever since the demonetisation (DeMo) policy announced on November 8, I have argued that the key post-DeMo goal of the government should be to create a political and economic environment conducive to considerably less creation of black money. I had identified three key areas for policy. First, individual income tax compliance must be made to increase, and as jointly argued with Arvind Virmani, this would not happen unless incentives (carrots) were given to taxpayers for them to come into the tax net and for them to declare a larger fraction of their income. Second, the real estate sector needed to be cleaned up, for it was a major sink for black money. Third, election-funding policies needed to be urgently reformed—this politician-dominated sector is one of the largest black sinks. On the latter two policy objectives, the Budget has been extraordinarily innovative—especially on election funding. In addition to black money, the other problem plaguing the Indian economy has been the low rate of growth of capital formation (investment) by the private sector. This, I had emphasised, was very likely due to the extraordinarily high rates of taxation of profits in India. The corporate sector, in aggregate, was paying more than 60% of its profits as taxes to the government (corporate tax, dividend tax, pension payments, insurance payments, indirect taxes, surcharges, cesses—need one go on?). FM Jaitley has decided to fire the first salvo in cutting tax rates of a bygone socialist era in which profits were considered “evil” and something bhadralok shunned with pride. For 96% of firms (all those with turnover less than R50 crore), the corporate tax rate has been reduced by 5 percentage points—from 30% to 25%. This is just not enough, and possibly a major clean-up will be presented in next year’s Budget when (hopefully) a no-exemption corporate tax rate of 18-20% will be implemented for all firms, big and small. Personal income tax (PIT) rates: Modi-Jaitley have taken a significant step forward by halving the tax rate (from 10% to 5%) for the lower middle-class of taxpayers (earning between R2.5 lakh and R5 lakh). Even taxpayers earning between R5 lakh and R50 lakh will have their tax outgo reduced by R12,500. For those earning between R50 lakh and R1 crore there is a tax surcharge of 10%, and the surcharge for incomes above R1 crore is retained at 15%. There are important state elections (especially UP) days after the Budget presentation on February 1. It is well recognised (and perhaps, inevitably, should be) that a Budget is both an economic and a political document. Jaitley goes to considerable length in the Budget to emphasise that we are not a PIT compliant society. To coin a phrase, when it comes to PIT, Indians are pits. This was also emphasised by PM Modi on December 31, and this is a very welcome innovation for leading policymakers to publicly, and loudly, admit to the plague of tax non-compliance. Comparing the tax compliance data offered by Jaitley on page 28 of the Budget speech and our synthetic or estimated income distribution for 2011 to 2016/17 (the one used by Virmani and myself), one gets the following result: For 2015-16, those earning between R10 lakh and R50 lakh (individuals with no tax surcharge), only 13% of individuals paid taxes, while for those with incomes above R50 lakh, tax compliance is 26%, i.e., the super-rich who are paying a 10-15% surcharge are twice as tax compliant as the near-rich! So, the policy of not cutting taxes for all is an opportunity missed; next year, maybe? However, in the main, the Budget is workmanlike, and brilliant, in being focused on the Big Picture, and ignoring all advice to do the wrong things—e.g., instituting long-term capital gains tax, or bringing in inheritance tax, or providing doles instead of infrastructure, rejecting universal basic income, and indirectly hinting (through the Economic Survey) that the days of cash transfers for the poor were near (bye-bye, PDS). The best commentary on NREGA was by the FM when he declared that this favourite of Sonia Gandhi and the Congress-Left had received the maximum ever allocation of R48,000 crore. What Jaitley did not emphasise was that this was the lowest in real terms since the programme was initiated in 2008-09; the real allocation to NREGA is now less than two-thirds of the R37,400 made available in 2008-09. Further, and more importantly, NREGA has been converted into a programme for providing infrastructure for irrigation. The Budget has been extra-careful and conservative about the impact of DeMo on the economy. It is very likely that GDP growth for FY17 will close in on a number above 7%. Somewhat surprisingly, DeMo has not had that big a negative impact on the economy. The jury is still out, but all (conservative) official estimates peg GDP growth at no less than 6.7%. This is obtained with a GDP for agriculture at 4.1%. Kharif acreage, unaffected by DeMo, had an expansion of 3.5%. Add a minuscule productivity growth of 0.6%, and one obtains the CSO estimate of 4.1% agricultural growth for FY17. The CSO was honest about not extrapolating beyond October 2016. But the rabi acreage, advertised by many anti-DeMo experts as doomed, has expanded by at least 5.9% (all data as of January 13, 2016, Economic Survey, pg. 156); wheat acreage is up by 7.1%. This implies that a minimum level of agricultural growth for FY17 will likely be close to 5.5%, and the likely level being 6-7%. Assuming agricultural growth of 6.5% (versus the 4.1% CSO estimate) yields a GDP growth level of 7.1%, well above that of the (deliberately conservative) ministry of finance and near identical to the estimates of both CSO and RBI. The BJP, especially PM Modi, is a long-distance runner, a Test player, rather than gimmicky T20s (or even less gimmicky ODI). This longer vision has been apparent for some time, and I believe comes out strongly in the Budget in its estimate of the fiscal deficit for FY18. Remember, the Budget is (ultimately) about fiscal-ism, revenues and expenditures, i.e., the fiscal deficit. The Budget has not only under-estimated GDP growth, but also the addition to tax revenue this year, and in the future, from increased PIT tax compliance. The fiscal deficit for next year is very likely to be less than 3.2% target for FY18, and likely less than 3%. If both tax revenues and GDP growth are understated, the fiscal deficit is doubly overstated! What a great idea, Sirji. Large state elections are only in November 2018; and 2019 are the national elections. Flush with higher than expected tax revenue and GDP growth, the Modi government will likely complete tax reform for individuals, and corporates, in February next year. What exquisite timing—set a conservative base this year, so you can be radical next year. The RBI will soon put into circulation new Rs 100 bank notes which will be similar to the design of the ones in Mahatma Gandhi Series-2005. “The Reserve Bank will shortly issue Rs 100 denomination ban notes in the Mahatma Gandhi Series-2005, with the inset letter R in both the number panels, bearing the signature of Dr Urjit R Patel, Governor, Reserve Bank of India,” RBI said in a notification. The year of printing ‘2017’ will be on the reverse of the banknote. RBI said the design of these bank notes to be issued now are similar in all respects to the Rs 100 bank notes in Mahatma Gandhi Series- 2005 issued earlier. Among the features of the bank notes, there would be ascending size of numerals in the number panels, bleed lines, and enlarged identification mark on the obverse. All the bank notes in the denomination of Rs 100 issued by the Bank in the past will continue to be legal tender, RBI added. The Reserve Bank will soon put into circulation new Rs 100 bank notes which will be similar to the design of the ones in Mahatma Gandhi Series-2005. “The Reserve Bank will shortly issue Rs 100 denomination ban notes in the Mahatma Gandhi Series-2005, with the inset letter R in both the number panels, bearing the signature of Dr Urjit R Patel, Governor, Reserve Bank of India,” RBI said in a notification. The year of printing ‘2017’ will be on the reverse of the banknote. RBI said the design of these bank notes to be issued now are similar in all respects to the Rs 100 bank notes in Mahatma Gandhi Series- 2005 issued earlier. Among the features of the bank notes, there would be ascending size of numerals in the number panels, bleed lines, and enlarged identification mark on the obverse. All the bank notes in the denomination of Rs 100 issued by the Bank in the past will continue to be legal tender, RBI added. In a major relief for the common man post the demonetisation move, the Reserve Bank of India on Monday raised the cash withdrawal limits from ATM to Rs 10,000 per days from the existing Rs 4,500. The hike in withdrawal limit comes with immediate effect, the Reserve Bank of India said in a statement. However, cash withdrawal through cheque for saving bank accounts have been retained at Rs 24,000 per week. The RBI also hiked the cash withdrawal from current accounts to Rs 1 lakh per week from the existing Rs 50,000. As per the RBI statement, the limit on withdrawals from ATMs has been enhanced from the current limit of ₹ 4,500/- to ₹ 10,000/- per day per card (It will be operative within the existing overall weekly limit). The limit on withdrawal from current accounts has been enhanced from the current limit of ₹ 50,000/- per week to ₹ 1,00,000/- per week and it extends to overdraft and cash credit accounts also, the RBI further stated. However, there are no changes in the other conditions with the Reserve Bank stating that the relaxations as provided in our circular dated November 28, 2016 will continue. Following the demonetisation move announced by Prime Minister Narendra Modi on November 8, 2016, the RBI had limited the cash withdrawal from ATM at Rs 2,500 which was later hike to Rs 4,500 on New Year’s eve effective from January 1, 2017. To mitigate hardships of poor and marginal farmers due to cash deficit following demonetisation, the RBI directed banks to distribute at least 40 per cent of currency notes in rural areas. On observing that bank notes being supplied to rural areas is not commensurate with the local requirements, some steps have already been initiated, RBI said in a notification. With a view to ensuring at least 40 per cent bank notes are supplied to rural areas and mitigating the issue in a more enduring manner, the banks maintaining currency chests are advised various steps, including liberal issuance of the existing stock of other denomination notes below Rs 100. “Banks should advise their currency chests to step up issuance of fresh notes to rural branches of regional rural banks (RRBs), district central cooperative banks (DCCBs) and commercial banks, white label ATMs and post offices in rural areas on a priority basis which are considered as main rural channels of distribution,” it said. The directive came just a couple of days after Prime Minister Narendra Modi in his address to the nation on the eve of new year exhorted banks to make efforts to restore normalcy as fast as possible and should focus on rural areas. “I have asked all officers concerned in the government to focus their attention on this task. They have especially been told to proactively resolve the problems in rural and remote areas,” Modi had said. According to the statement, banks should follow need-based approach for supply of currency as rural requirements could vary from district to district, depending on variations in the rural and urban mix of each district. Each district has different CASA deposits shares and deposit accounts. RBI has already mapped each district of every state and also made estimates of the requirement. Accordingly, all chests operating in a district must issue bank notes to distribution channels in the indicated proportion, it said. “The indicated proportion may be maintained on a weekly average basis at each chest level as it may be difficult to stick to the proportion on daily basis,” it added.